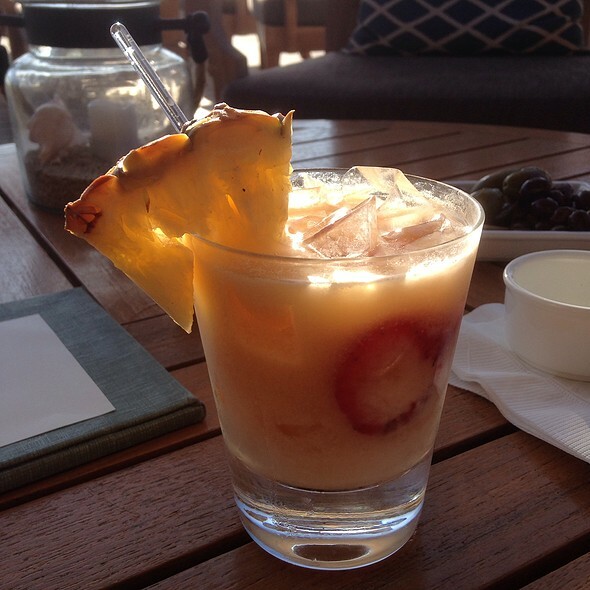 Creating an “upcountry downtown” vibe, Moku Kitchen will blend the best of both worlds as the latest addition to SALT. Handcrafted Restaurants LLC offers a new kind of dining experience for Honolulu foodies. Inspired by Chef Peter Merriman’s passion for made-from-scratch cooking using locally sourced ingredients, the new restaurant will open its doors to patrons at SALT on Wednesday, October 19, 2016. Having achieved an immense amount of success with the establishment of the much loved Monkeypod Kitchen—which has locations in Ko‘olina, Oʻahu and Wailea, Maui—Moku Kitchen will continue in the tradition of making everything from scratch. The concept for the new restaurant is simple, but refreshing: Bring “Upcountry Downtown”—using fresh, locally-sourced ingredients. The unique, chef-driven concept features a visible kiawe wood burning pizza oven, an exposed expo rotisserie roaster, and a menu of flavorful dishes and local favorites such as Saimin and Dry Mein that everyone will enjoy. Additionally, Moku Kitchen offers 36 craft beers on tap served at 29 degrees, and is home to an incredible keg wine systems, with 12 biodynamic and sustainable wines available on tap. With over 7,000 square feet of open space, both indoor and outdoor seating, a daily offering of live music, and a breathtaking mural by Pow! Wow! Hawaiʻi’s own Kamea Hadar in the backdrop—Moku Kitchen is a place where food connoisseurs can come together to sample mouthwatering dishes in a dynamic setting. Standout menu items include Rotisserie Roasted Duck with Ginger and Shoyu, Ma‘o Organic Farms Kale Salad, a Pulled-Pork Sandwich with Homemade BBQ Sauce, and a wide selection of kiawe wood fired pizzas. SALT is an exciting development brought to life by the eclectic and diverse community of retail shops, cafes, bars, and restaurants that thrive in this innovative epicenter. Every tenant is specifically curated, and contributes immensely to this flourishing new neighborhood that is reinvigorating Honolulu. Moku Kitchen—along with other business owners, residents, artists and creatives at SALT is helping to reclaim urban Hawaii through innovation and imagination, and all of O‘ahu is invited to come experience “Upcountry Downtown” in the heart of Kaka‘ako. For more information on Moku Kitchen, please visit: www.mokukitchen.com, on Facebook at Facebook.com/MokuKitchen, or on Instagram @MokuKitchen. Named after the pa‘akai (Hawaiian for “salt”) ponds that once dotted the low-lying wetlands of this area, SALT is Honolulu’s innovative epicenter for local culture, food, shopping, and events. Comprising 85,000 square feet of a dynamic mixture of local small business and national brands, SALT is an urban city block designed for exploration and engagement for retail, restaurants, and services. 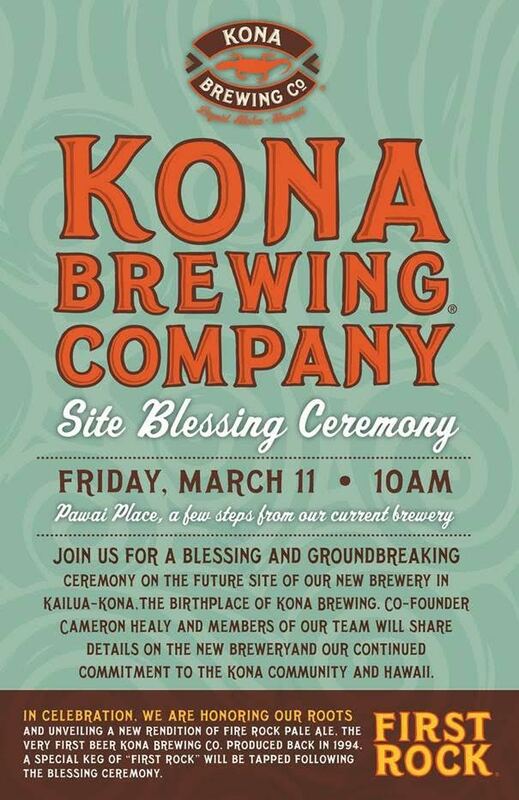 This groundbreaking gathering place in the heart of Kaka‘ako is where new makers and new ideas converge. A partnership between Hawai‘i Regional Cuisine founding Chef Peter Merriman and Restaurateur Bill Terry, Handcrafted Restaurants LLC is a multi-concept restaurant company that is dedicated to operating world-class, full-service restaurants in premiere cities and resorts. Handcrafted Restaurants LLC celebrates the craft of food, drink and merrimaking while integrating itself into local communities by supporting local farmers and fishermen, creating new jobs, and keeping impact on the environment as minimal as possible. Handcrafted Restaurants LLC seeks to develop connections between residents, guests, the land, and one another by focusing on locally sourced ingredients, sustainable business practices, and socially conscious values. Stripsteak Waikiki has launched a new, Aloha Lunch menu with special prix fixe options featuring fresh seafood and locally-sourced ingredients accompanying Michael Mina’s contemporary steakhouse cuisine. The Aloha Lunch starts at $37.50 per person (excluding tax and gratuity) and highlights a selection of healthy and light starters paired with popular entrées where guests are able to choose one appetizer and one main dish. Popular main entrée selections featured in the Aloha Lunch special include Michael’s Ahi Tuna Tartare with kale salad, Asian pear, toasted pine nuts, sesame and mint; Free-Range Chicken with Okinawan potatoes, baby spinach and Hau‘ula tomato-curry sauce; and the Stripsteak Burger with caramelized Maui onions, Nueske’s bacon, American cheese and a side of Michael Mina’s duck fat fries. 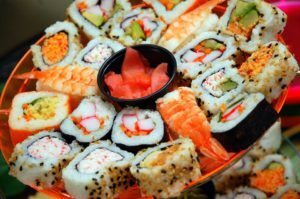 Guests also have the option of ordering á la carte selections including an assortment of fresh seafood flown in daily including shellfish, sushi and sashimi. From the broiler, options featured on the lunch menu include hearty cuts of Moyer Farms Steaks served with fries and Citrus Grilled Fish served with quinoa pilaf. Lunch libations are mixed daily into unique concoctions including the bartender’s special selection served in a Lunch Punch. Located on the International Market Place’s Third-Level Grand Lanai at 2330 Kalākaua Avenue, lunch is offered daily from 11:30 a.m. to 2:30 p.m. with expansive indoor and outdoor seating ideally suited for business lunches. Kama‘āina are eligible for a 10% discount until the end of November with proof of residency. Reservations are highly recommended. Validated valet and self-parking is available at the International Market Place. Stripsteak Waikiki opened on Aug. 25 and the Aloha Lunch special is the precursor to the restaurant’s participation in this year’s Restaurant Week Hawai‘i from Nov. 14-20, with more details to be released later this fall. 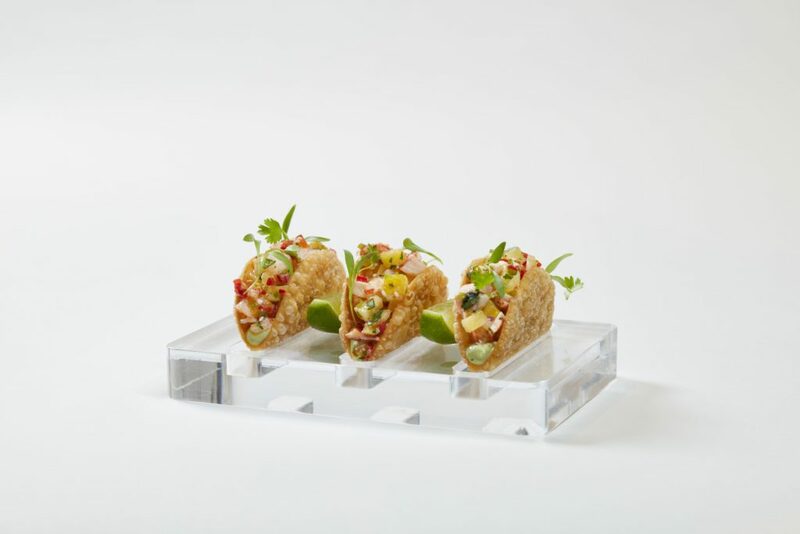 Daily lunch service is followed by afternoon pau hana, available at the bar from 2:30 p.m. to 5:30 p.m.
For more information, please visit STRIPSTEAKWaikiki.com, Facebook.com/STRIPSTEAKRestaurant and @STRIPSTEAKHI on Instagram and Twitter. The Hawaii Restaurant Association is hosting its 10th annual Hall of Fame induction ceremony on Monday. The Hall of Fame was to honor all of the old time restaurants. In the past, when you thought of Hawaii and food, you would always remember certain restaurants that you had gone to frequently. 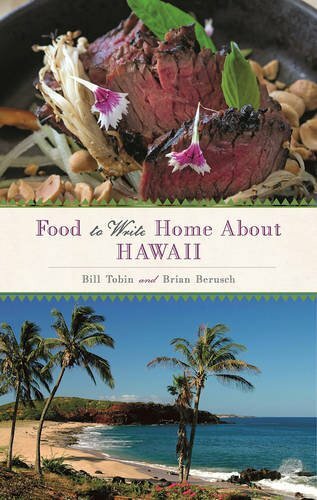 How can anyone forget local institutions like Columbia Inn, Flamingos, Kings Bakery, Wo Fat, Hamura Saimin, Manago Hotel, Tip Top, and the list goes on and on, or people like Lyle and Grace Guslander and so many more people who shaped Hawaii’s culinary landscape. Many of these iconic restaurants are no longer here, this Hall of Fame was created to remember and honor the pioneers that have paved the way for many in our industry today. September 19th, 2016 marks a decade of honoring these leaders. The event will feature a “Chefs of Aloha Dine-Around,” emceed by Kanoa Leahey and guest presenters Chef Alan Wong and Honolulu Magazine Food Editor Catherine Toth-Fox. 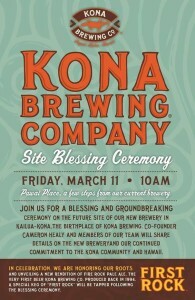 Proceeds will benefit the HRA Scholarship Program at the University of Hawaii Community Colleges. Aaron Placourakis – President / CEO Tri Star Restaurant Group, JAS Restaurants & AMP Restaurants, LTD. The Hawaii Restaurant Association (HRA) is a 501(c)(6) non-profit trade organization, together with the National Restaurant Association and the National Restaurant Association Educational Foundation, is dedicated to representing, educating and promoting the restaurant, food service, hospitality and tourism industries. The HRA provides access to the support and resources that industry professionals need to maintain a thriving business and serves as a contributing member of the unique and diverse restaurant community here in Hawaii. The Hawaii Farm Bureau Federation and Hawaii Pacific University have joined forces to develop Honolulu’s newest Farmers’ Market, opening on Friday, August 5, 2016 at the Aloha Tower Marketplace. 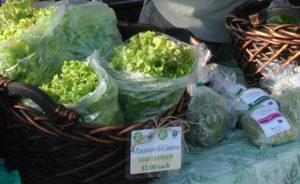 Running from 4:00 to 7:00 p.m., the market will continue every Friday night at the waterfront location. The new market brings together the expertise of the Hawaii Farm Bureau, creators of Honolulu’s finest Farmers’ Markets, and the unique location of the historic Aloha Tower Marketplace. This newest location adopts the character of a night market, which are growing in popularity across the nation. The Aloha Tower Night Market will feature an assortment of offerings from the Farm Bureau’s top providers. Produce and prepared foods, eat-it-there or take-it-home, the Aloha Tower Night Market will provide a new place to gather, explore, and rediscover the contribution of Hawaii’s farmers and purveyors. The Hawaii Farm Bureau (HFB) was founded in 1948 and is a statewide nonprofit organization nearly 2,000 farm families united for the purpose of analyzing problems and formulating action to ensure the future of agriculture thereby promoting the well-being of farming and the State’s economy. HFB serves as Hawaii’s voice of agriculture to protect, advocate and advance the social, economic and educational interest of our Hawaii’s diverse agricultural community. Hawaii Pacific University (HPU) is Hawaii’s leading independent, non-profit university. With its core campus in the heart of Honolulu’s business district, and campuses at Makapuu Point, Kaneohe, and Oahu military bases, HPU offers students a distinct blend of small class sizes, hands-on learning opportunities, and global perspectives, with more than 60 undergraduate and graduate programs for those seeking an educational adventure in the center of the Pacific Rim. 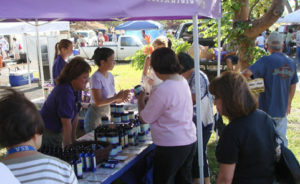 Photos courtesy Hawaii Farm Bureau. This Summer, the hugely popular Hello Kitty Cafe Truck will be crossing the Pacific Ocean to make its first-ever visit to Hawaii. The special three-day appearance will take place from Friday, June 17 through Sunday, June 19 at Ala Moana Center in Honolulu. 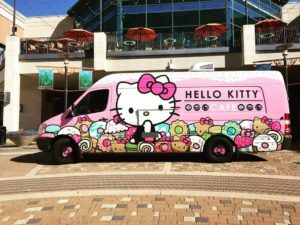 The “mobile vehicle of cuteness and sweets” will serve goodies from 10 a.m. to 9 p.m. daily to Hello Kitty fans of all ages. Treats on board the Hello Kitty Cafe Truck will include a macaron box set with one surprise Sanrio character macaron inside, a delicious three-piece Hello Kitty cookie set in adorable packaging, a four-pack of mini cakes, and a pink bow-shaped water bottle. In addition to the goodies, a Hello Kitty Cafe mug, a supercute pink Hello Kitty Cafe T-shirt and the pop icon’s signature bow headband will also be available to purchase. The Hello Kitty Cafe Truck will be stationed in front of the Sanrio store, making it easy for fans to continue their experience by stopping by the retail location. The Hello Kitty Cafe Truck is the first-of-its-kind food service venture for Sanrio in the U.S. The cafe truck made its first official debut at Hello Kitty Con in October 2014 and has been rolling up to festivals & events ever since, spreading Sanrio’s message of happiness, friendship and fun while offering yummy goodies to Hello Kitty fans and foodies. Hot on the heels of yesterday’s “Top 100 Places to Eat” list from Yelp comes the “100 Best Al Fresco Dining Restaurants” from OpenTable. For this list, ranking eateries where you dine outdoors, a dozen Hawaii restaurants made the cut. 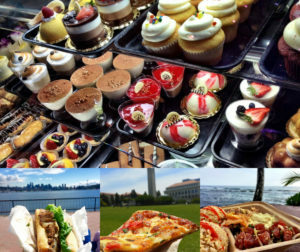 The Aloha State is home to ten of the ‘Top 100 Places to Eat‘ according to Yelp’s annual survey of “food greatness.” The 2016 list, unlike the list from last year (based primarily on a restaurant’s performance in recent years),looks at performance since the founding of Yelp in 2004. Bombay Palace, which opened late last year in the former Monsoon India space in the Discovery Bay Center, augmented its menu by introducing a few new dishes from the home country of owner Imran Khan and his chef, Gul “Kenny” Khan. The restaurant, which specializes in kebabs and northern Indian dishes such as Vindaloo, Korma, Kadhai, Saag, and coconut curries, also showcases authentic Pakistani dishes not readily found in the islands. However, the restaurant does focus on using ingredients purchased locally so they are the freshest. The menu at Bombay Palace is replete with northern Indian Halal dishes popular with locals such as Tandoori chicken made in their own clay oven, Butter Chicken, Lamb Rogan Josh (tender lamb in a home-made yogurt sauce), Fish Tikka, Baingan Bartha (tandoor-roasted eggplant cooked with tomatoes and onions), along with a variety of naan, paratha, and biryani. 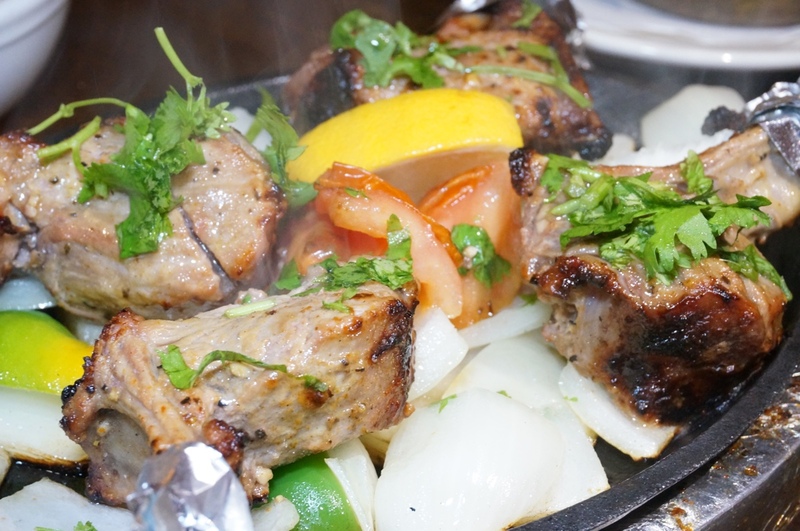 However, the restaurant has also decided to specialize in kebabs—rack of lamb, lamb Boti (boneless pieces of lamb), minced lamb, and chicken, all made fresh to order on a sizzling platter. To throw in a new twist, they decided to include a few Pakistani menu items, such as the Chicken Handi/Kadhai (“handi” refers to something made in a clay cooking vessel), which takes tender chicken cooked in a tomato-based sauce with onions, bell peppers, and spices. Other dishes from Pakistan include Dhaniya Chicken of Ghosht, a stew made with fresh cilantro, onion, a touch of tomato, and spices and Chicken Reshmi Kebab boasting a creamier marinade than the other kebabs. Most entrees are affordably priced from about $15 to $22. Bombay Palace is located at the Discovery Bay Center, 1778 Ala Moana Blvd., Space 213. Four hour parking is available for $1 with validation. The restaurant is open for lunch from 11:45 a.m. to 2:30 p.m., and for dinner from 5:00 p.m. to 10:00 p.m. daily, 365 days a year. For more information and reservations, call (808) 941-5111 or visit www.bombayhawaii.com. For media inquiries, please contact Sean M. Morris at (808) 781-8888.